You want to know what else is special about the Tower of Pisa except that it is tilting to one side? Why Michelangelo's David was erected outside Palazzo Vecchio in Florence? Why Dan Brown's theories about mysterious codes in Leonardo da Vinci's Last Supper are nothing but fiction? 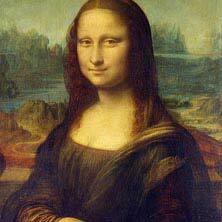 And why people have long given up discussing Mona Lisa's smile? Then art history is the right subject for you. We study, discuss and analyse painting, sculpture and architecture and unearth the motives behind the creation of artworks and define their places in art history. You will learn research methods and acquire in-depth knowledge of different objects which enables you to understand and analyse even unknown artworks. are interested in art, culture and visual media. are interested in history and science. want to study academic texts thoroughly and critically. want to understand the world's history. are interested in other related subject areas (interdisciplinary work). enjoy attending exhibitions and travelling. are confident enough to speak in front of other students. You can forge connections with the working world in the Nuremberg Metropolitan Region thanks to co-operations with the museums here. 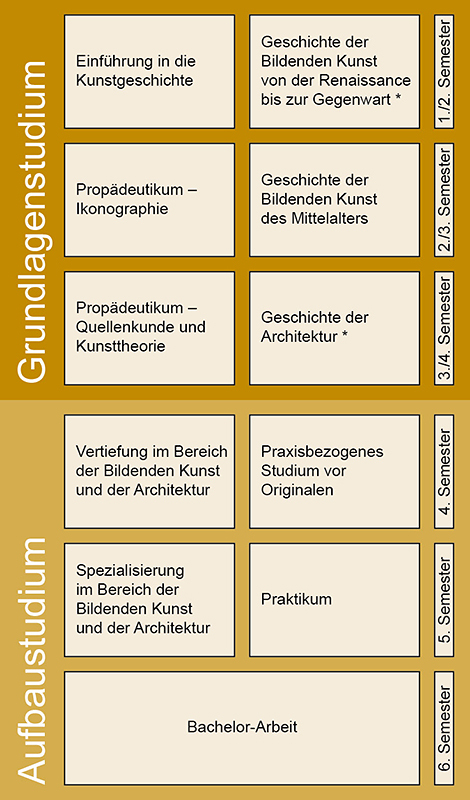 All genres of art (architecture, sculpture, painting, graphics, art trade, photography or new media) are investigated, from the Middle Ages to the present. There is an even distribution between theory and practice (excursions, placements). It is not all studying paintings, you also compose and edit texts. You have to participate actively (in excursions, presentations, exhibitions). Only if you work hard (meticulous preparation and follow up work) can you successfully complete the degree programme. A complete list of exchange possibilities for the degree programme is available at moveonnet.